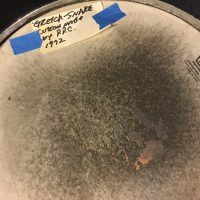 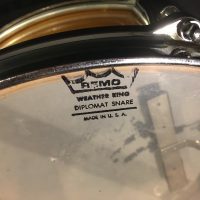 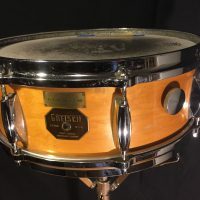 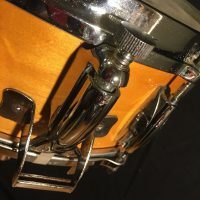 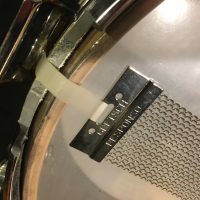 This Gretsch maple shell snare was owned and used during the 1970s by Elvin Jones. 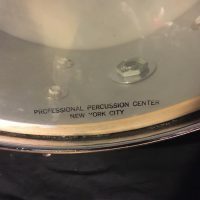 The drum was customized for Elvin at the Professional Percussion Shop in New York city in 1972. 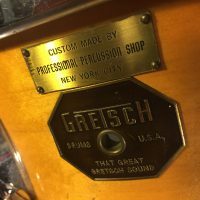 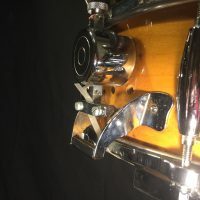 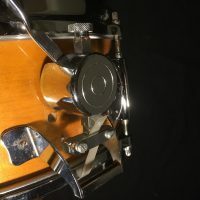 They removed the original Gretsch throw off, installed a new Camco throw off and snare extenders and attached a PPS plaque above the Gretsch badge. 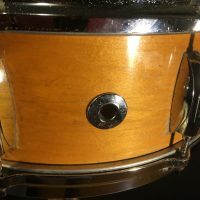 The drum shows signs of Elvin’s use (see photos) but is in excellent playing condition. 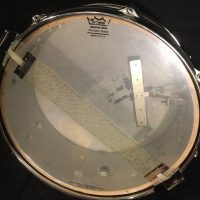 This drum was part of a large collection of drums acquired directly from Elvin’s wife. 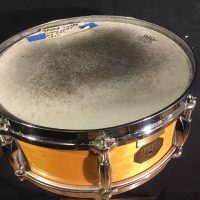 COA signed by Elvin’s wife.